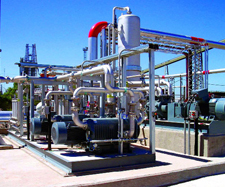 BORSIG’s membrane products – membranes, membrane modules and complete membrane systems – are synonymous for their high quality, competency and reliability. BORSIG’s services portfolio ranges from process simulation to the delivery of complete turnkey systems and comprehensive after-sales services. The BORSIG team has been continuously developing and offering intelligent process solutions since 1988. At two offices in Gladbeck and Rheinfelden, highly qualified and skilled staff appling state-of-the-art production and engineering methods in order to innovate and develop new solutions for customers’ processes as well as to improve and optimize processes already installed. BORSIG’s total solution package and services focus on controlling the entire production processes and ensuring smooth workflow optimized project schedule and monitoring. Quality assurance, occupational health and safety as well as environmental protection are given top priorities at all times. BORSIG’s team co-ordinates and are involved in all work steps, such as technical specifications, purchasing, production, assembly and commissioning. 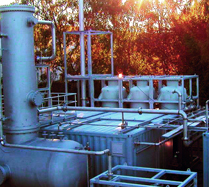 In many areas of the chemical, petrochemical, oil and gas industries, membrane processes are the standard process which is used either as substitution or in combination with conventional process steps to enable ecologically and economically optimized solutions.